A strong defense strategy could be the difference between a person’s imprisonment and freedom. A defense team will uncover information to strengthen a case and will analyse the prosecution’s evidence and the defendant’s version of the truth. Defendant’s should understand that revealing the truth (as they see it) will make the defense team’s job a lot easier and strengthen their case. For example, if a husband attacks his wife, the truth could be that he attacked her out of rage, after seeing her with another man. When a case is being made, both the defendant and the attorney should work to create the most helpful version of the truth. Verifiable evidence – The attorney, together with his/her defense team, will look at the verifiable evidence available. For example, if the defendant’s DNA was found at the crime, the defense team should explain why the defendant was there and why his/her blood was found. Sympathy – The defense team will use the defendant’s version of the truth to receive sympathy from the courtroom. Explain the events relevant to the defendant’s truth – The defense has to gather evidence that explains the events related to the defendant’s version of the truth. For example, if the defendant says that he/she was not in the country, on the day of the attack, the defense has to explain why and show proof. 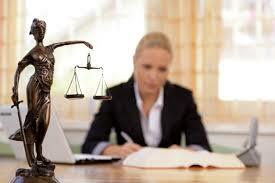 A defense team will usually have multiple versions of the truth and will use the most favourable one in court. Favourable outcomes include a not guilty verdict, a guilty verdict of a less serious charge, or a satisfactory plea bargain.